I was inspired by Lynn's cluster of flowers! 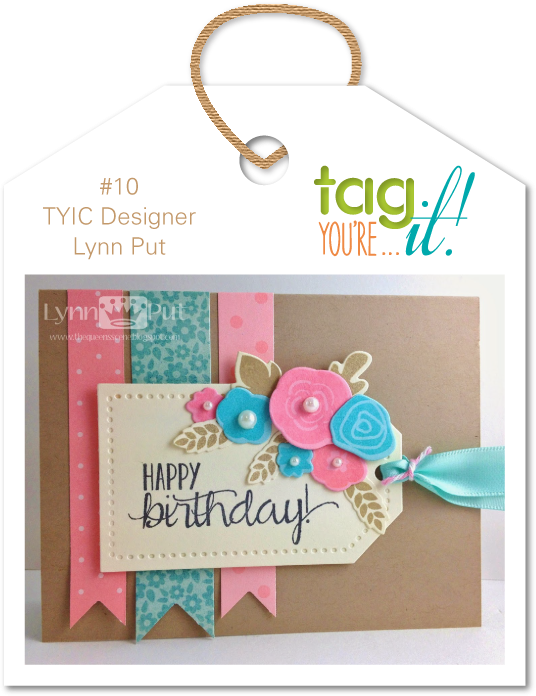 There's so much to be inspired by on Lynn's tag. Whether it's the cluster of flowers that inspired me, the colors, design, use of patterned paper, banners...wow, I bet we have quite a collection of tags this week! 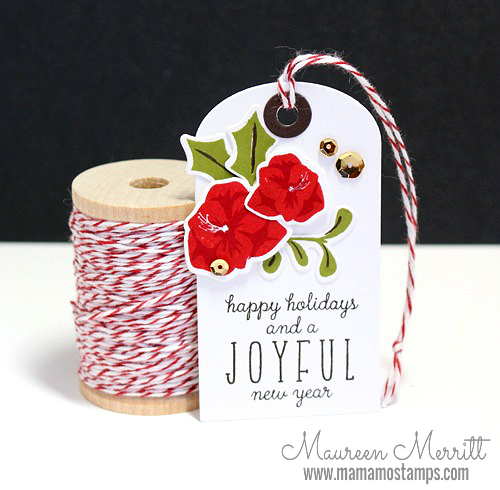 I used the WPlus9 Merry & Bright stamps and dies to make my flower cluster. The stamps were first stamped in Real Red ink, then again in Cherry Cobbler. These colors are only slightly different, but it did give me the contrast I was looking for! My sentiment from Merriest Wishes was stamped in Early Espresso ink, which was also stamped on the leaves. Pretty Pink Posh Metallic Gold sequins finish this tag off perfectly. Absolutely stunning...love the crisp red. When I saw this one my jaw hit the floor! Gorgeous color and absolutely perfect design Maureen! Gotta pin this beauty! This is gorgeous! Love how your red cluster of flowers pop and just a touch of gold sequin gives your tag an elegant look. This is AMAZING, love the bright colors and design! !